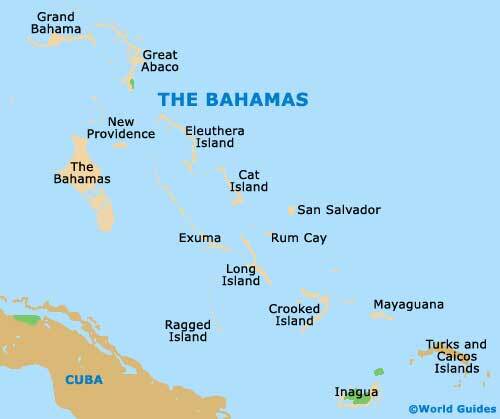 Located in the Commonwealth of the Bahamas, a group of approximately 700 different islands, Nassau is the capital city. Also the biggest city in the whole of the Bahamas, Nassau has a population of more than 200,000 residents, a significant proportion of the overall population of the Bahamas, which is approximately 305,000. Nassau can be found on the island of New Providence and boasts a scenic harbour area, a rich colonial heritage, and plenty of exciting nightspots. Nassau International Airport (NAS) is also known as the Lynden Pindling International Airport and is the main gateway into the Bahamas islands. 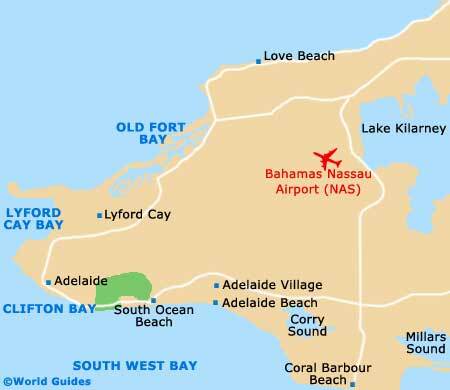 Sited on the western side of the island and close to Nassau, the airport serves many major airlines, including the local Bahamasair. Nassau is larger and busier than many people expect and really does offer something for everyone, ranging from shopping centres and casinos, to sandy beaches and scuba diving. The true heart of the action in Nassau can be found around the buzzing downtown district, where plenty of sightseeing opportunities abound. Central to life in downtown Nassau, Bay Street is a prominent artery and is close to the West Bay. A huge selection of restaurants are dotted all over the downtown district, including a number of popular dining options close to Junkanoo Beach and along many stretches of Bay Street, where restaurants stand side-by-side with shops and noteworthy landmark buildings. Highlights in this part of Nassau include the Christ Church Cathedral along George Street, which dates back to the 17th century, and the Pirates of Nassau attraction on Malborough Street, where the history of the region's pirates is celebrated. Nearby, the Cable Beach area is best known for its endless accommodation and stunning views. Many of the biggest hotels in the Bahamas can be found here, close to the beaches.